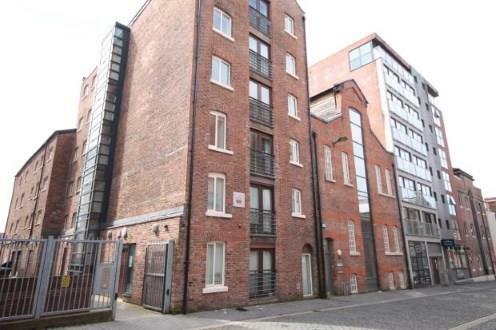 1 Bedroom Flat For Sale in Liverpool for Asking Price £89,950. Entwistle Green are delighted to offer for sale this well presented spacious studio apartment situated on the second floor. The property is situated in the sought after Ropewalks area of Liverpool city centre close to the Universities and Cathedrals and a vast array of shops, bars and restaurants with Liverpool One shopping development within easy reach. An ideal opportunity for first time buyers to purchase a period property with charm and character throughout. Briefly the property comprises of hallway, open plan lounge with French doors opening on to a Juliet balcony, spacious kitchen, and bathroom. The property benefits from a lift giving access to each floor, double glazing and being sold with no onward chain.